Upload an image to show when an image hasn’t been set or is unavailable. Turn On or Off registered image sizes. This does not include Custom Image Sizes that are created above. Create your own custom image sizes. 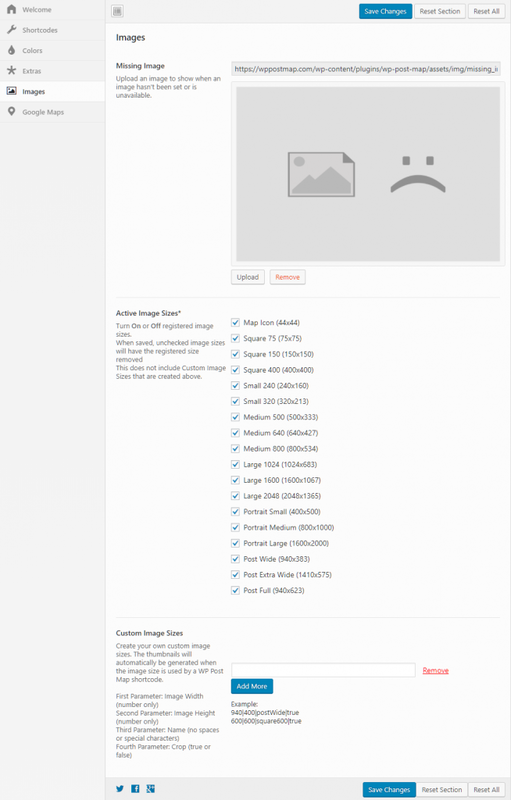 The thumbnails will automatically be generated when the image size is used by a WP Post Map shortcode.